A standing desk is a great way to improve your health while working—but while your back might thank you, your feet might have a different opinion. Here are five of the best standing mats to help keep them comfy. Standing mats aren’t particularly complex in design: they’ve been around a lot longer than the recent batch of standing desks, helping workers in retail, food preparation, and other occupations that stand in the same spot for long shifts to alleviate foot fatigue. That said, there are definitely a few that are a cut above the rest thanks to quality materials and thoughtful features. We’ve selected the best overall, the best for those on a budget, for those who like to fidget and move around while working, and the best for those who want an extra-large mat for big work spaces. Number one on our list is the Ergodriven Topo. This relatively small mat stands out from the pack thanks to its irregular shape, which encourages the user to frequently shift positions to avoid fatigue and repetitive stress injuries. Its variable thickness ranges from three quarters of an inch thick to almost three inches, with deep ramps on the back and in the central “teardrop” ridge for when you need some extra support. Pebbled polyurethane feels great and is easy to wash, and it comes in a few muted colors to match different office decor. 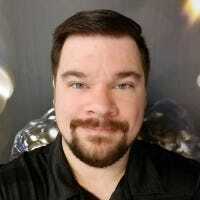 The mat slides in and out from under your desk easily, and its bowl shape lets it double as a holder if you use a medicine ball for sitting at your desk like I do. The Topo isn’t cheap at $99 for the standard model nor is it a good fit for people under 5’4″ (a smaller $69 “mini” version is available for people of smaller stature), but it’s worth it if you’re looking for the best way to keep your feet comfy through a whole day of work. For those who prefer their comfy pads to be completely horizontal, the CumulusPRO is the way to go. 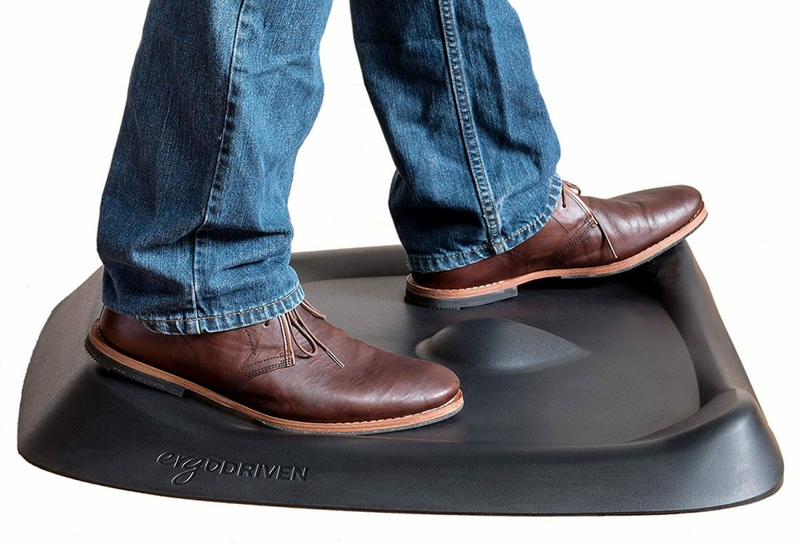 Though the three-by-two foot mat doesn’t include any of the foot-massaging topography seen elsewhere on this list, its variable “Cushion-Core” provides enough support to be used barefoot and enough firmness to handle tennis shoes and loafers. 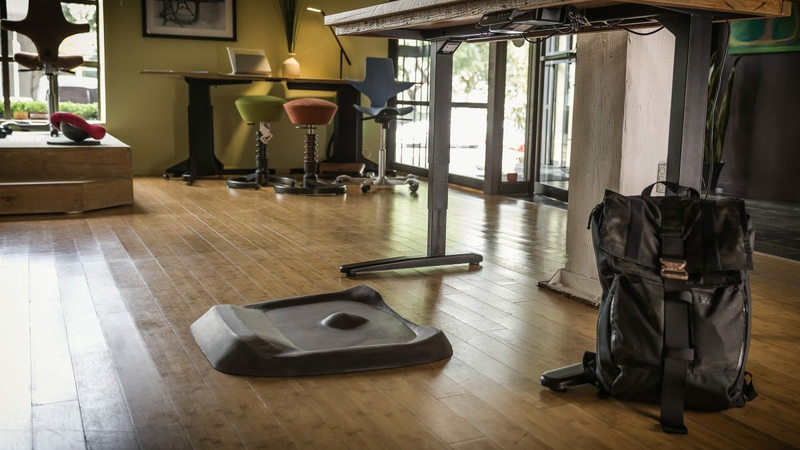 Users appreciate its anti-slip bottom, which makes it handy for any non-desk duty you might need like working in the kitchen or garage, and rolling chairs can get onto it via its sloped edges if you need a bit of a rest. Manufacturer Imprint offers a lifetime satisfaction guarantee, which is more than you can say for some of its less expensive competition. You can have any color you want, so long as you want black (or grey). If you prefer to move around as much as possible while standing at your desk, give this EazeeMats model a try. It includes irregular cushion zones like the Topo, but the more complex curves offer even more positions for leaning and rocking. 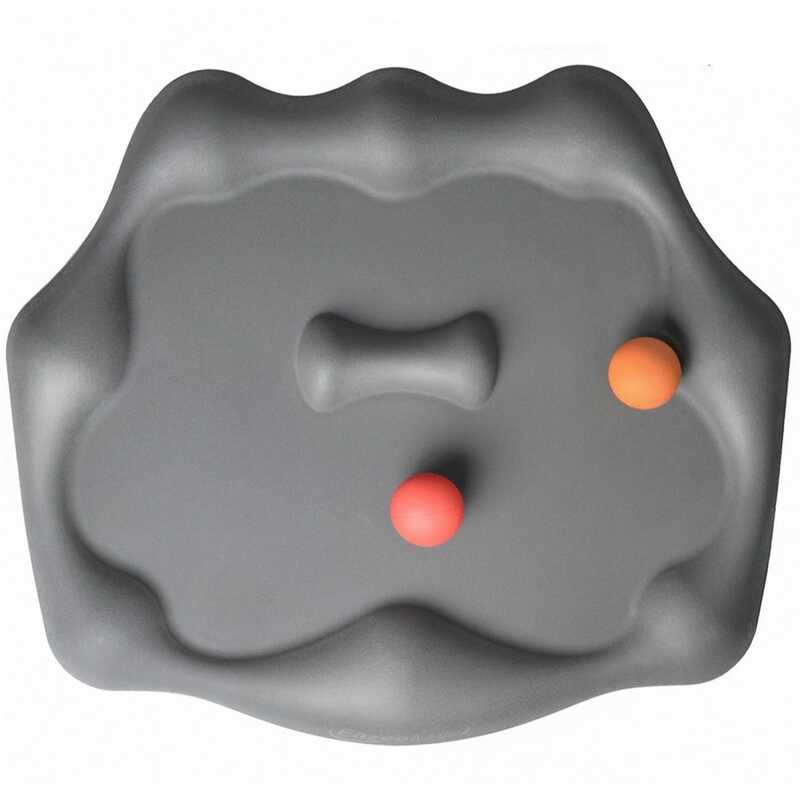 In addition the package comes with two 2.8-inch rubber balls, which can roll freely on the flat zones and give you extra points of cushioning and a bit of stimulation for restless legs. Height of the mat itself varies from .8 inches to 2.6, with no less than eight resting ridges plus a central ridge to support a variety of standing zones. 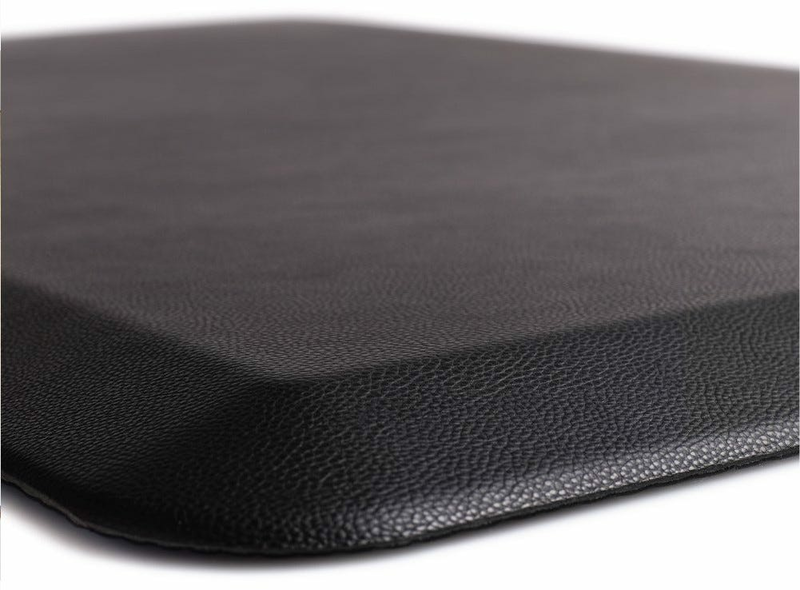 The mat is designed for easy sliding, ideal for those who switch between sitting and standing. Black and grey models are available, with replacement balls costing six bucks each. Standing desk users willing to give up a few features for a bargain will be well served by the Gorilla Grip Comfort Mat. This general-purpose mat comes in at just $30 for the smallest version, only about a third of the price of the alternatives on this list, and matches the three-quarter-inch thick polyurethane of the non-ridged portions of the other picks. The mat comes in six different colors and boasts a water-resistant, hand-washable finish ideal for kitchen use. Taller users will want to upgrade to the longer 39-inch version for nine bucks more, but those who need a mat that slides in and out quickly should look elsewhere, as the company’s anti-slip bottom is designed not to budge even on slick surfaces. If your workspace is big enough that you’re often standing at multiple positions throughout the day, ergonomically-designed mats probably won’t be practical for you. But this massive mat can handle the job, thanks to its nearly six-foot-long by two-foot-wide surface area. Even with a size more than twice that of the next biggest mat on the list, the price is more than reasonable at under $90. The three-quarter-inch thickness matches the standard set by other mats, and Butterfly offers a lifetime warranty on the construction. As this mat is designed for semi-permanent use in a single spot, it features both an anti-slip bottom and a handful of colors and decorative patterns that will make it look a bit less utilitarian in a kitchen or laundry room. If you are planning on using it somewhere other than a conventional office, go for a printed pattern rather than an embossed one—it’ll be easier to clean if you should spill something.